Thank you for your enrolment into the Aptitude Mastery webinar series! You will shortly receive an email with registration instructions for the first webinar in January 2015. 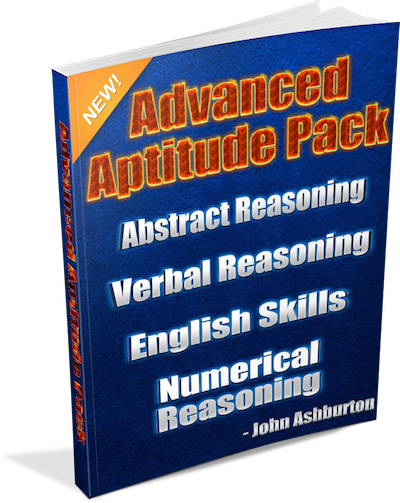 If you would like even more help with your preparation for aptitude / cognitive testing, please download this free bonus “Advanced Aptitude Pack”. This is the latest upgrades to verbal reasoning, abstract reasoning, english skills and numerical reasoning. Please note: You can only access this bonus from this page so be sure to save the PDF download to your computer or device!